Often, first-line managers are promoted into management without really knowing where to start. They’re given the role and are told to manage teams, manage finances, determine and realise strategy, but without the right skills and support, the delight of a new job (and salary) can turn into a nightmare all too quickly. Jenny Carter, director of the New Manager programme at the University of Cape Town Graduate School of Business, says that first-line managers play a vital role in organistions but too often they are left to fend for themselves without the skills or training to support them. And this is a niche that organisations don’t want to ignore. First-line mangers perform functions such as scheduling, training, hiring, firing, and writing performance evaluations. Effectively they are the first contact point between line workers and management and more and more is being asked of them every year. Carter says there are several things these first-line managers need do to avert the nightmare and create value for their organisations. One of the most difficult things for people to do is to get up in front of people and present ideas in a way that is clear, well-structured, and convincing. Another challenge is writing well-argued and accurate reports and proposals. Not only is it important in the presentation, proposal and reporting function but also in the management of teams, and relationships in the workplace. Open and honest communication between team members and their leaders is the cohesive element that solidifies, strengthens and grows teams, and it is the lubricant keeping the flow of work running smoothly. Listening better, here, is pivotal. In their new role, first-line managers can be strategic elements in the organisation, applying new business thinking to innovating across different processes and functions, improving teams, and finding opportunities for creating or maintaining a competitive advantage. “First-line managers need to think strategically in uncertain and complex environments while being able to confidently manage and motivate teams, harnessing the potential in workplace diversity,” says Carter. An important part of strategy today is in harnessing the thinking of many people, rather than any single individual. So first-line managers need to create enabling environments to ensure that many perspectives and ideas surface for the good of the organisation. Organisations never operate within a vacuum. They are a part of a greater cosmos of which is made up of many different forces. In the business world of emerging markets, first-line managers need to start grappling with the complexity and uncertainty inherent in emerging markets and the diversity of interest involved in them. They need to keep informed about the latest in regulations, political developments, social needs, and they must question the role of business in these societies. “The reality is that Africa is an emerging market and has a distinctive character, with a different array of social issues,” says Carter. The most profound lesson a first-line manager can learn, and one experienced managers should keep reminding themselves of, is that in order to manage others you must first manage yourself. In today’s environment, far removed from the corporate leadership style of the past, leaders are expected to lead by example. And leading by example hinges on one major thing: consistency. Everything from personal behaviour and thinking to decision making and relational skills should be driven by a keen adherence to personal values that do not shift and change in any given situation. Leaders do not sell out on their personal values. It is these that are their compass and rudder and it is these that determine their impact on others, encouraging and motivating them to succeed. To understand one’s own values, one’s strengths and weaknesses, requires concerted effort. Leadership is cultivated, not wished into form. Up-skilling is critical when entering a new role in organisations. And as demands on first-line managers are expected to grow and change every year, short courses are proving to be a cost effective and targeted means to develop the critical skills needed. A recent Harvard Business Review study showed that offering professional development to high-potential managers keeps them from leaving for other companies. In their article, Why top young managers are in non-stop job hunt, Monika Hamouri, Jie Cao and Burak Koyuncu conclude that three-quarters of high potential employees are constantly on the look-out for opportunities elsewhere. And a survey of 1200 employees showed that the main grudge is not receiving enough formal training and development. Although on-the-job training is important to these high-calibre employees, informal employee development efforts are highly unsatisfactory to them, and they prefer efforts that help strengthen the foundations for their future careers. The New Manager runs at the UCT GSB from May 5 to 17. 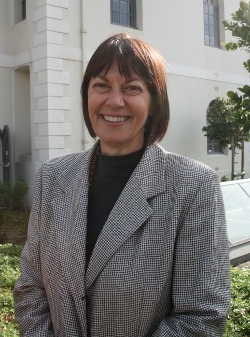 For more information contact Tracy Kimberly on 021 406 1346 or visit www.gsb.uct.ac.za/newmanagers.